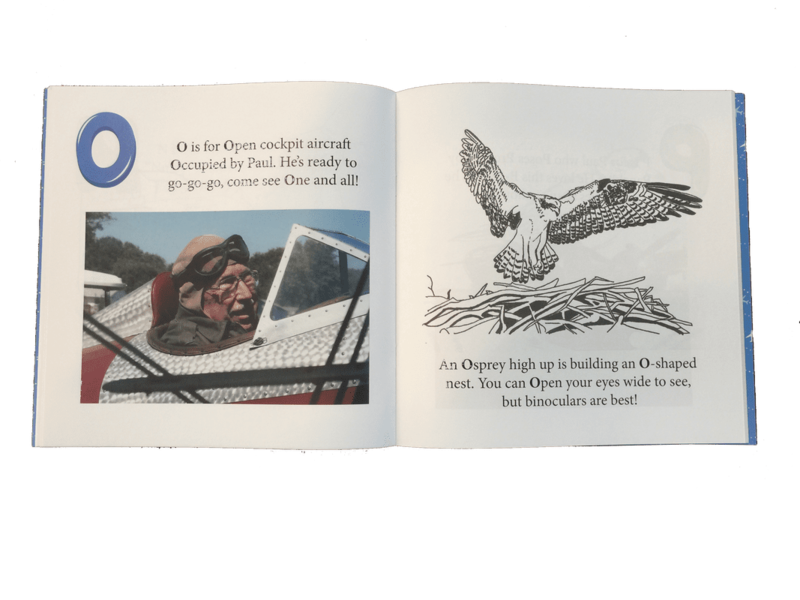 56 pages of full-color photographs and illustrations taken from FLYING OVER DELMARVA: Spray Planes, Banner Planes & Bi-Planes ready for your little artist to color! 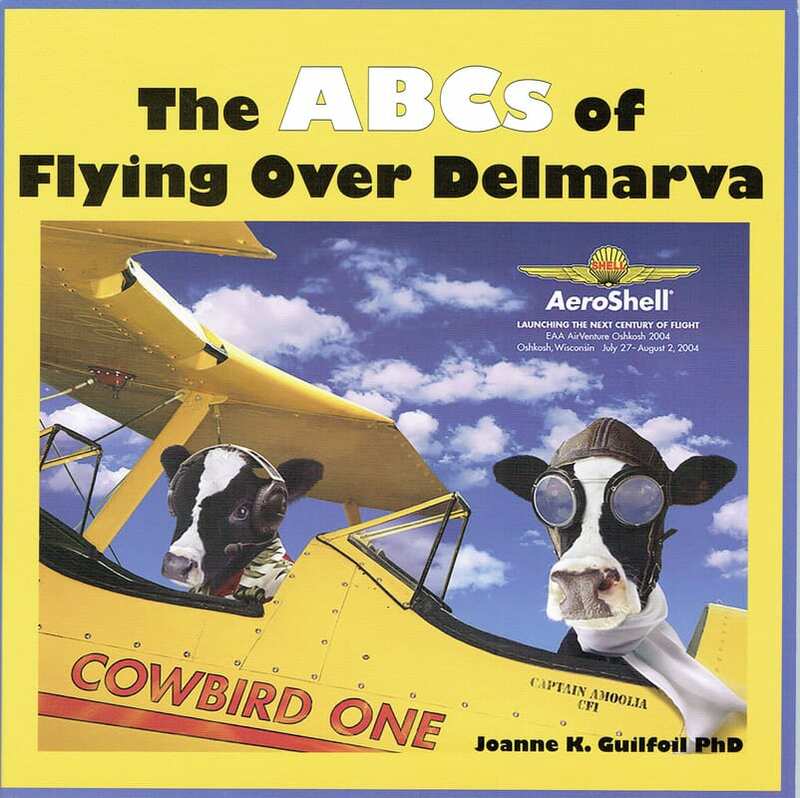 A companion children’s book to FLYING OVER DELMARVA: Spray Planes, Banner Planes & Bi-Planes. 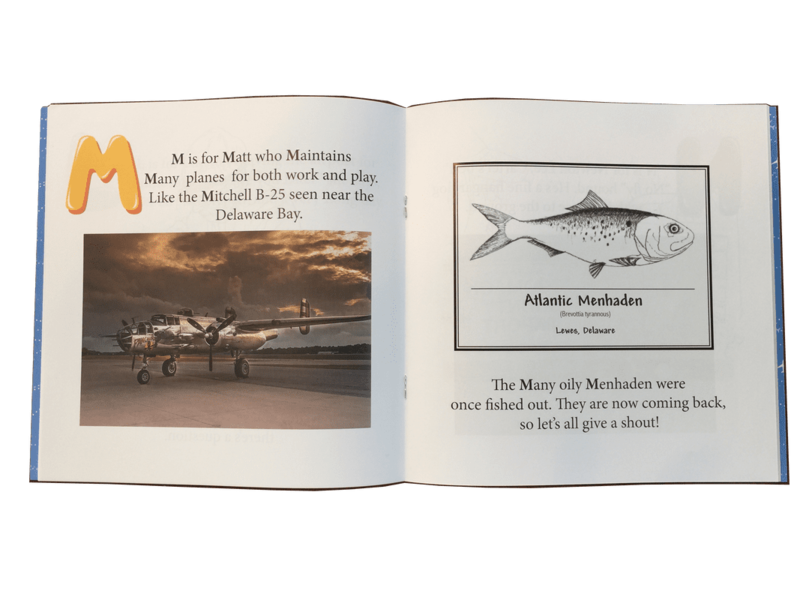 A paperback book about Delmarva aircraft for pre-readers. Each alphabet letter is portrayed with a large color photograph of an airplane or pilot, a drawing to color, and words that rhyme. 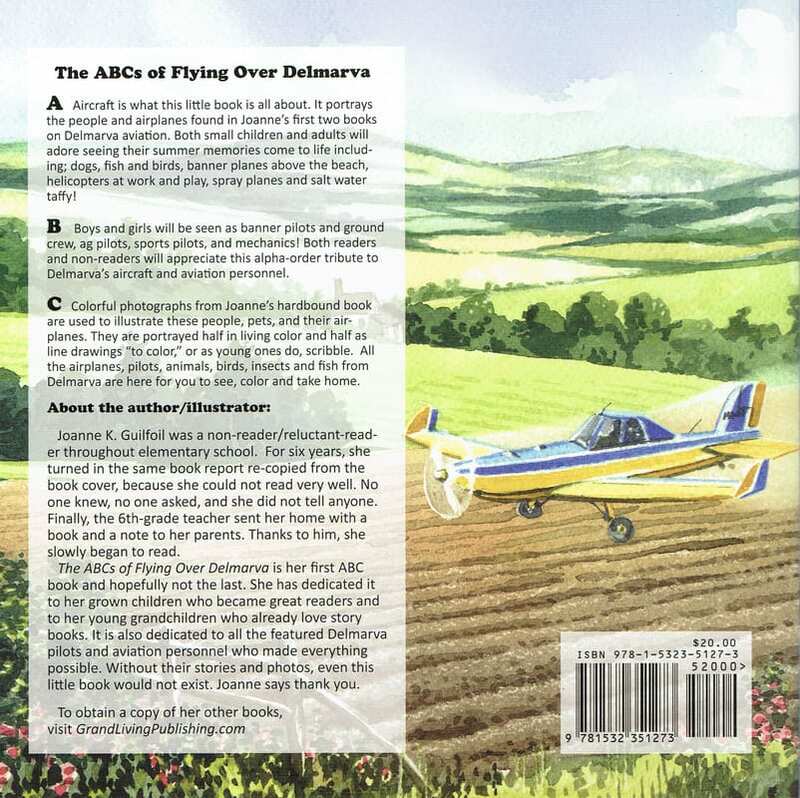 The front cover shows a colorful Aeroshell cow poster, and the back cover tells about the book with a watercolor painting of a spray plane.